Your move is covered from A to Z. Our team goes the extra mile to ensure that you’re getting the best deal for your dollar. City Moving is fully equipped to relocate your household goods. We come handy with all the moving services you could ever want and need, because we just want to see you happy. 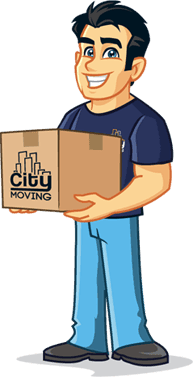 City Moving offers top of the line moving services that were designed to make your move easy; and no other mover compares to the quality you receive with City Moving. Check out a few of our spectacular services below. We will help you from start to finish and guide you towards the moving services that will make your move easy and hassle free. City Moving strives to provide great moving services, and we only want to present you with affordable options that will ease the tensions of relocating. City Moving is the dependable company you have been searching for. City Moving works hard to make sure our customers are highly satisfied with their move. We know time is money and we don’t want to waste any of yours; at City Moving we don’t mess around. Our company was created to provide fast, top of the line moving services to ensure a successful move every time. You can depend on City Moving to get the job done right. You can count on the City Moving crew to get your move done right! Our customers take note of City Moving’s honest and dependable services and they aren’t afraid to show their appreciation. We leave no stone unturned when it comes to providing hassle free moving services. City Moving is there for our customers from start to finish. We believe hard work and good customer service is the key to providing great moving experience and City Moving is proud to say that we have accomplished this time and time again. Come and experience what every move should be like. I was moving around the block to a nicer apartment and the streets are a little narrow. I was afraid no one would be able to help me move because I have a lot of stuff. But City Moving did a great job and had no trouble maneuvering around town. Wow! I’m so glad I found these guys. They really made my move easy. My representative was really helpful and the actual movers were so professional. Money well spent. Grade A services, thanks guys! Just super great services all around. It was between City Moving and a couple of the other big companies but their customer service really won me over. Plus they did a great job with my things and nothing broke, arrived on time, friendly people, just a great company. © 2018 City Moving Corporation. All rights reserved.